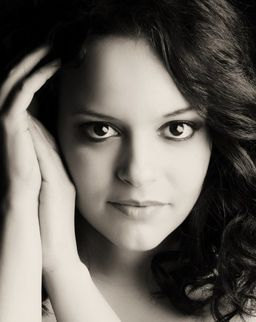 Rachel is a musical theatre and classical-crossover artiste from Malta. She completed her Masters in Musical Theatre at the Guildford School of Acting (UK) and was Head of Music at Masquerade School for the Performing Arts (2012-2015). She also graduated with a Psychology (Hons.) Degree from the University of Malta. Rachel is signed to the internationally-renowned Eclipse Artists Agency. Rachel recently played the role of Mary Magdalene in Teatru Astra's Jesus Christ Superstar, directed by Hugh Wooldridge. Wooldridge said, "Rachel brings world-class performing experience to the role and has one of the most beautiful and pure voices I have heard." (Times of Malta, March 23, 2018). 2018 also saw Rachel's involvement in the brilliant up and coming House of Broadway cabaret shows. She participated as a lead soloist in one of their first few shows held at The Zedel in Piccadilly Circus, London. Rachel has played the iconic role of Maria Von Trapp in The Sound of Music at the MCC (Grapevine Music). Andre Delicata, for The Times of Malta: "...Maria, played by the wonderful Rachel Fabri - whose clear, pure tones certainly do justice to the character - which is no easy task, as the Julie Andrews comparison is inevitable. However, Fabri made the role Maria her very own..."
Some of Rachel's other Malta Theatre Credits include: Cathy in The Last Five Years (Masquerade Theatre Co.), Regina in Malta's longest running musical Rock of Ages (TAC Theatre), Soloist and Vocal Coach in Gotta Sing Gotta Dance (Studio 18), Lead Soloist in the musical revues Simply Webber and Comedy Tonight (Masquerade), Princess Snow White in Christmas pantomime The Curse of Snow White (Masquerade), Princess Bianca in pantomime Sleeping Beauty (MADC), Crystal in Little Shop of Horrors, Befana in La Befana, Catherine in 1565 The Musical in Concert alongside the Malta Philharmonic Orchestra. Concerts include: Soloist in the popular ROCKESTRA 2016 alongside Malta's leading artists and the MPO (MFCC), Guest artiste in Teatru Unplugged 16, Backing Vocalist Coordinator for Malta's popular band Red Electrick at the Beer Festival, Guest Soloist alongside Kim Criswell at the HSBC Summer Concert with the MPO, Soloist at the MPO's Movie Spectacular. She also formed part of the Animae Gospel Choir and was a featured soloist in the Choir's concerts held at the MCC. Rachel may be seen as the actress in music video IVY for one of Malta's top bands, Airport Impressions (2018). She has also featured as an actress and singer in the film The Devil’s Double playing Arabic singer Abdel Akle, alongside Dominic Cooper and Philip Quast. Rachel often records voice overs for radio advertisements and may also be seen on a few different local TV advertisements, such as the Melita and Gap adverts and the popular Air Malta advertisement. In the UK, Rachel formed part of the classical crossover quartet All Angels, with whom she performed at such prestigious venues as Wembley Stadium (Champions League Final 2011) in front of 90,000 live spectators and millions of TV viewers, in front of over 20,000 people at the 02 Arena, Manchester Arena, Sheffield Arena, Birmingham LG Arena, the House of Commons and the Royal Albert Hall. She has performed alongside leading artistes such as Alexandra Burke, Katherine Jenkins, Dionne Bromfield, Dame Shirley Bassey, Tinchy Stryder, Ruth Lorenzo and Lesley Garrett. As part of All Angels, Rachel has performed on BBC’s The One Show, a Channel 4 feature on All Angels and at the Classic Brit Awards at the Royal Albert Hall. The group recorded an EP together called ‘Starlight’ which they launched at Covent Garden’s Apple Store. Some of Rachel's UK Theatre Credits include: Persephone in Persephone (Edinburgh Fringe Festival), Cassie in Make Believe (Henley Festival), Young Girl in Anything Goes (Yvonne Arnaud Theatre, Guildford), Cockney Girl in Me and My Girl (London Palladium), Guest Soloist in Beyond the Barricade UK TOUR. At GSA: Polly Browne in The Boyfriend, Oolie in City of Angels and Rachel in When Midnight Strikes among others. Rachel also enjoys recording cover songs as well as her own original music. Her original singles Let You Go and Human Too are available on iTunes, Spotify, Amazon and Google Play and may be viewed on YouTube. Rachel's solo album Forever Yours was released by means of highly successful launch concerts both in Malta as well as at The Pheasantry in London. The album, as well as the album's launch concerts, received excellent reviews. Christina Lejman for The Times of Malta: "Both the event and the album it celebrated were well-executed and chock-full of talent." The album, as well as Rachel's singles (covers and originals), are all available for online purchase via iTunes, CD Baby, Amazon and Spotify and may be viewed on YouTube.